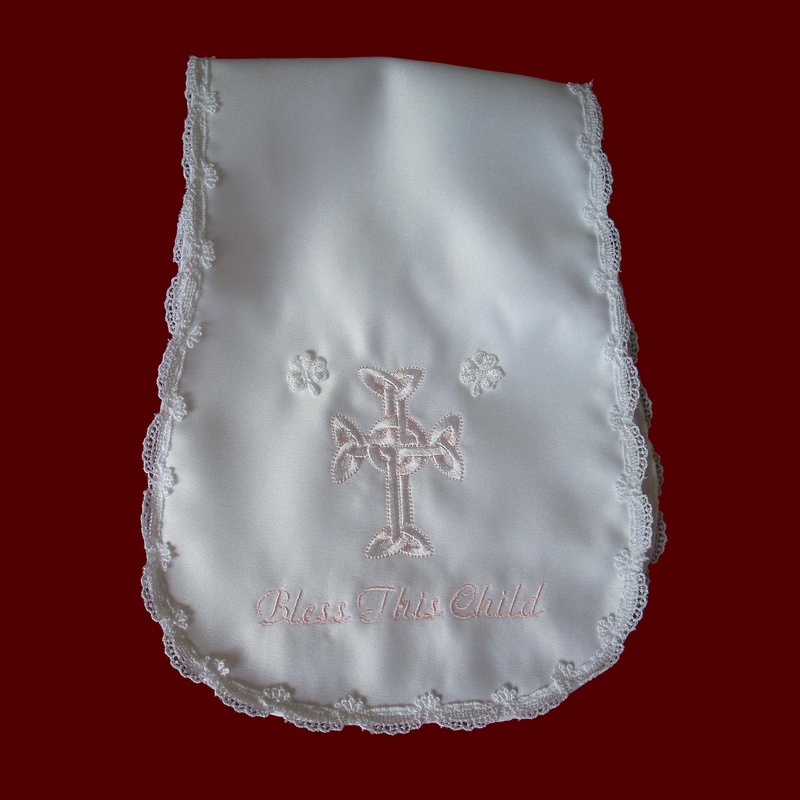 Burp pad embroidered with your choice of cross design and baby's name, christening date, monogrammed with baby's initials and date or your choice of sayings ~ Bless This Child (shown), Our Little Miracle, Precious Child of God, My Godparents Love Me, My Godmother Loves Me, My Godfather Loves Me, Precious Gift From God or Bless Our Child (Please specify saying under special requests). Boys is trimmed in piping and girls has lace edging to match fabric. 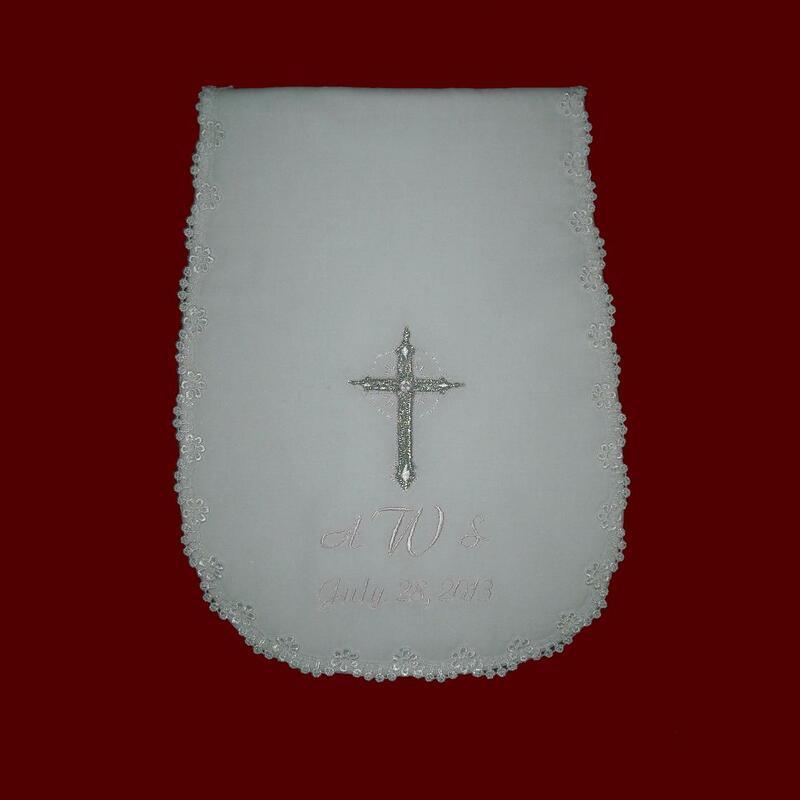 Available in white or ivory in the following fabrics: Cotton batiste, satin (shown), silk dupione, shantung, linen batiste, Irish Linen or cotton sateen. 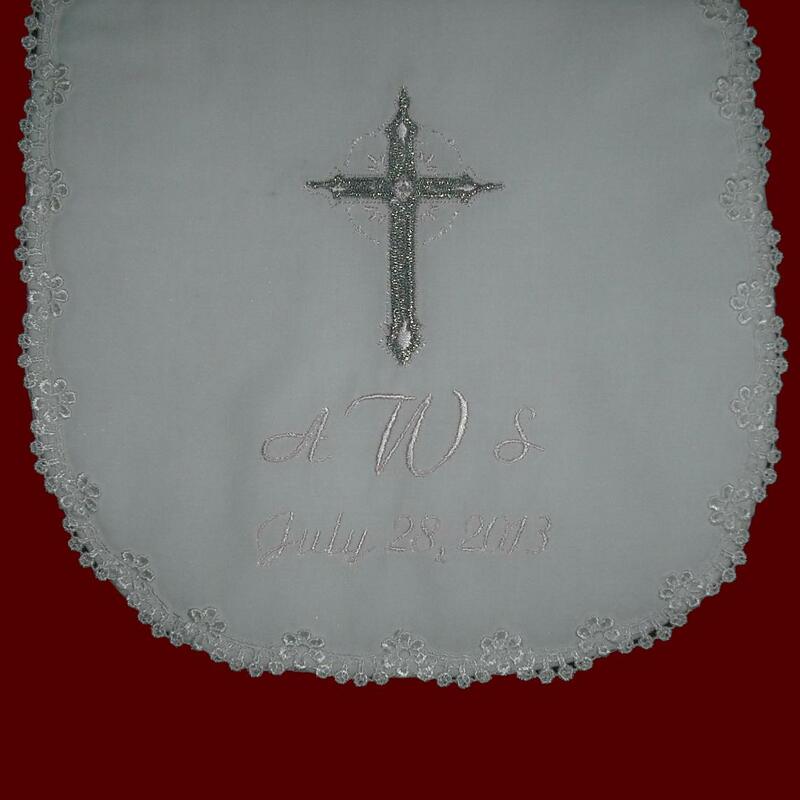 Embroidery can be all white, all ivory or with pale blue or pink accents. One size fits all. Optional shamrock appliques also available as shown. 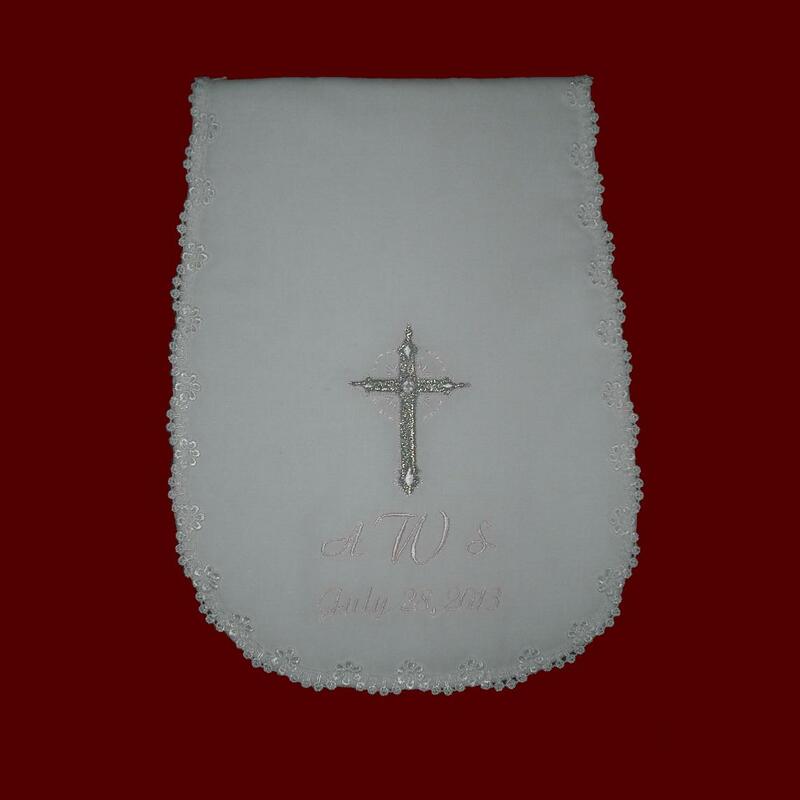 Laces trims will vary depending on availability and fabric chosen.